Are you moving out of your leased property? Do you need to hand over the place to your landlord with a good impression? And more importantly, do you need your bond back? If it’s all a yes, then you are expected to clean the house like the first time you’ve seen it. And of course, to get your full bond back, you have to meet the landlord’s requirements and satisfaction. Because mind you, whenever the landlord finds the property is in the best condition just like the first handover of the property to you, your full bond is secured and guaranteed. Hence, in order for you to do this, you need the help of an end of lease cleaning Perth expert. However, before you hire an end of lease cleaning Perth expert, make sure to evaluate and check the company first. Find out if it’s reliable and trustworthy. In fact, there are too many companies that claim they are expert cleaners. For all you know, in reality, they are lacking experience in the field. Therefore, before hiring one, make sure to check the things you need to consider before you decide which company fits your needs. And to help you out, we will give you insights on the things you need to make sure before hiring any end of lease cleaning Perth company. Cleaning companies are good when it comes to professional cleaning. However, there are some instances that we can’t predict the accident. Yes, accidents happen everywhere. No place is safe. Therefore, it is best to check and evaluate if the cleaning company is insured. Ask their terms and condition and see if it will assure you security. After all, what we are after is the quality of their services. In this way, we can assure that the property is in good hands while they do their job in helping you get your bond back. Take precautionary measures to avoid problems if ever accident arise. 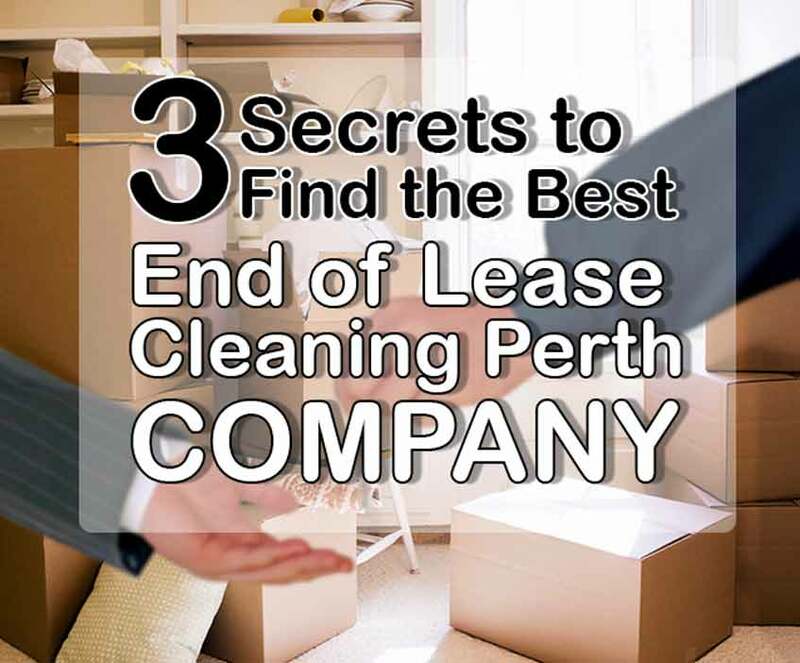 Before hiring an end of lease cleaning Perth company, make sure to ask what are the services covered. This will help you decide if what they offer will satisfy your needs. Remember that when something went wrong and the landlord is not happy with the output, there’s a big chance of not getting your whole security bond back. Of course, you don’t want that eh? So better check the services covered first before you hire them. If your landlord required you to use specific solution for cleaning, you should inform your prospect service provider. Verify if they can meet your request. Thus, they should be able to provide some documentation that states what kind of solution they have used. So, when the landlord visits the house for inspection, you can provide a full report with confidence. If you want to get all of your security bond deposit back, then better hire the professionals. Hiring an end of lease cleaning expert is an absolute must to impress your landlord. Furthermore, they always guarantee a well-done work. So, consider the things above and get a hassle-free search of the best cleaning company for you. Looking for an End of Lease Cleaning Services? Then you’re on the right track! As we aim to build the best cleaning service company, we guarantee to give only the best service with the exceptional kind of clean! Browse our services page and give us a call! Also, do your own responsibility to help your cleaner do their job even better. Learn the things you should do before your house cleaner arrives. This entry was posted in House Cleaning and tagged cleaning services, End of Lease Cleaning, house cleaning services in perth, Maid in Perth.